A rendering of forthcoming restaurant SING from Cuc Lam and Jerry Lasco. Image courtesy of SING. 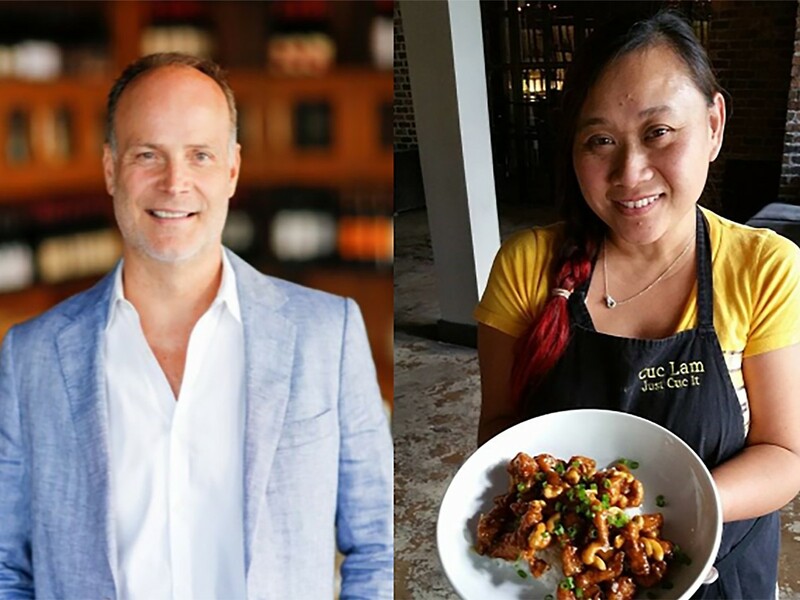 It was announced in December 2017 that longtime Houston restaurateur Jerry Lasco (best known for Max’s Wine Dive and The Tasting Room in Houston) is partnering with local pop-up chef and former Houston Press freelance restaurant critic Cuc Lam on a new eatery named SING. That’s short for “Singapore,” but the duo is also aiming their modern concept to offer customized perks to technically savvy visitors who might “sing” about the food and service on social media. 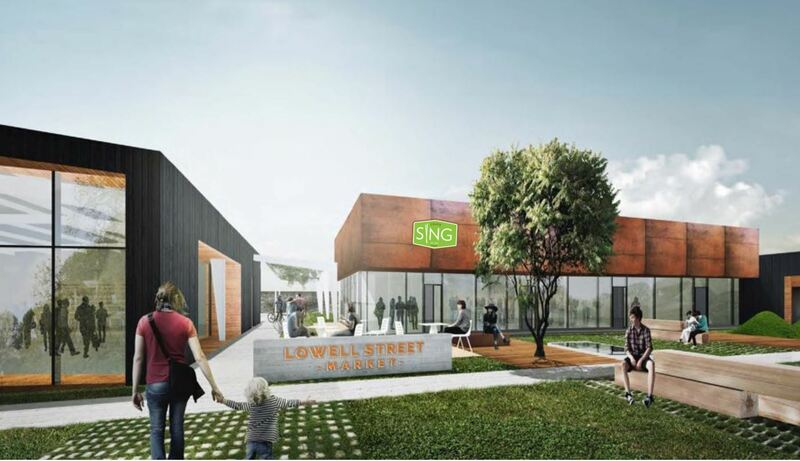 Now, Lam has announced via press release exactly where SING will be located—and when it is opening. It is going to be at 718 West 18th Street at the Lowell Street Market complex in the Heights. The opening is now expected to be in October. Located between Snooze, an A.M. Eatery and ice cream sandwich shop Smoosh, SING’s space is 1,230 square feet and “surrounded by a communal grassy area with plenty of small hills, benches and trees to enjoy a bowl of stir-fried noodles or share some lemongrass pepper ribs with friends.” Between 20 and 30 guests can sit inside; a side patio provides additional seating. Three parking spots near the back door are going to be designated for to-go orders. Jerry Lasco (left) and Cuc Lam (right). Photo composite courtesy of Sing. 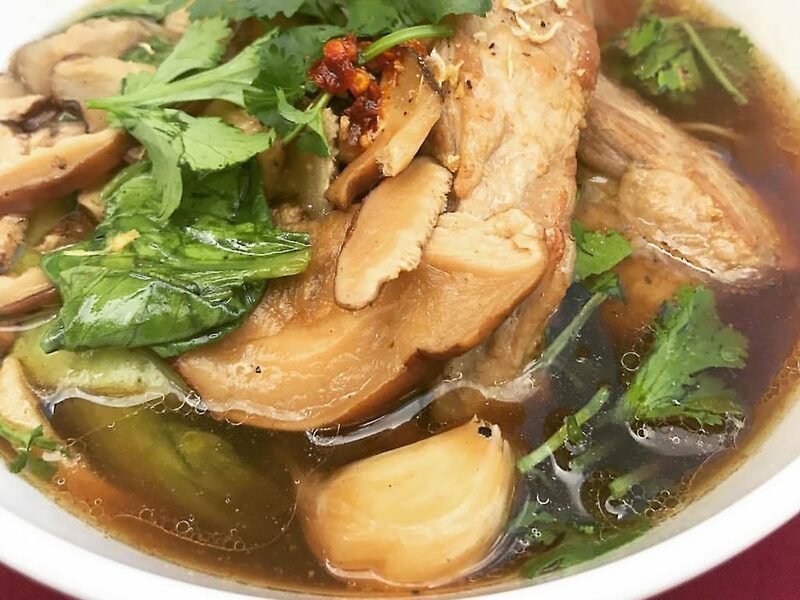 As reported in our first story on SING, Lam built her reputation in Houston by showcasing Asian cuisine from multiple countries via pop-ups at bars, including Wooster’s Garden. Lasco says that he was introduced to Lam by their mutual friends who own Peli Peli and found her to be a good match as a business partner willing to do the “heavy lifting” of opening a restaurant and with a passion for Asian cuisine. Lam’s title is “operating partner,” and that means she’s overseeing not just tasks related to opening but also day-to-day aspects of the business, including the menu. She and Lasco chose to name the restaurant after Singapore, not to reflect just one type of cuisine, but to evoke the melting pot of cultures and dishes found in that city, including Vietnamese, Indian, Thai and Chinese. Bak Kut Teh, or pork bone tea, a type of soup at forthcoming restaurant SING. Photo by Cuc Lam. Menu items still planned are Bak Kut Teh (pork bone tea, a brothy, herbal noodle soup Lam fell in love with on a recent trip to Singapore), Laksa (spicy curry coconut noodle soup), Chicken Tikka Masala and Char Kway Teow (flat rice noodle stir-fry). Lasco says that he and Lam have been testing dishes in his home kitchen and his favorites have been stir-fries, curries (both Indian- and Asian-style) and Dan Dan Noodles. In addition, Lasco and Lam want to offer a SING app and build diner loyalty through special events and deals for repeat customers. These might include pop-up dinners, exclusive previews of dishes being considered for the menu and customized being named for a month after a diner who consistently orders it. For more details on the “NextGen” concept, read our original article on SING. Disclosure: Cuc Lam is the partner of Josh Armendariz, a freelance beverage writer who regularly contributes to Houston Food Finder. I thought this was going in Garden Oaks???? It indeed was. Our understanding is that negotiations with the first potential landlord fell through.